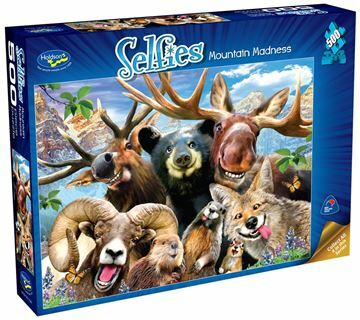 This Selfies 500pc puzzle series is Holdson's second collection by artist Howard Robinson. 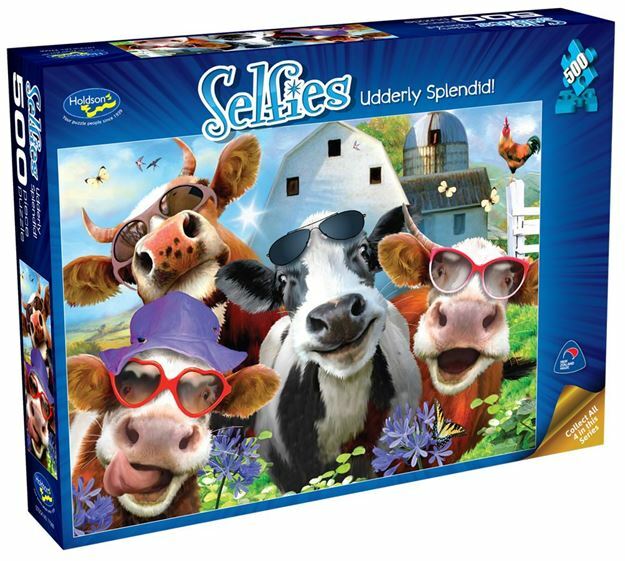 The animals in this Udderly Splendid! 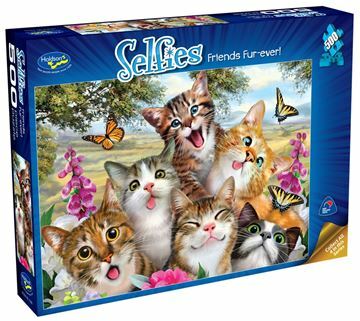 puzzle love to get in on this action and say "cheese for the camera!" Colourful, cute and oh so hilarious, these Selfies are definitely unique. Each time you look, something else funny can be found! 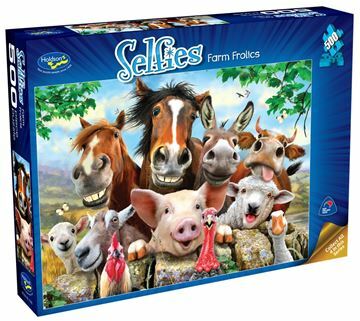 Titles include: Farm Frolics, Friends Fur-Ever!, Mountain Madness, Udderly Splendid!. Each design sold separately. Collect all four designs. Age 8+ years. Made in New Zealand by Holdson. Approximate puzzle dimensions: 482mmx 482mm. Box size: 270mm x 370mm.